A force in the material handling industry since its birth in 1954, Speedrack has cut its teeth providing customized material handling solutions and quality pallet rack. Over the last 60 years, the company has developed a reputation for providing sturdy and reliable rack products. Of course, a rack system cannot truly be called sturdy without the inclusion of a strong and dependable pallet rack clip. 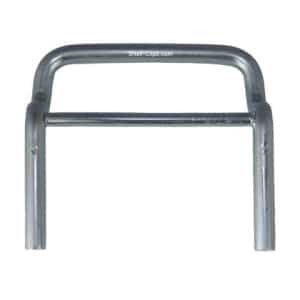 There are a number of different styles of Speedrack pallet rack clips, such as the Speedrack teardrop clip. This blog post, however, will make the Speedrack Old Style pallet rack clip its focus. The Speedrack Old Style clip is manufactured in two sizes: 4-inch and 6-inch, and is used in the installation of Speedrack selective pallet rack systems. It’s function is as follows: the clip, which is horseshoe-style, is inserted from the back side of the frame column. From here, two pins protrude forward through the front of the pallet rack frame and then through the beam itself. The Speedrack J Bolt drop pin is then inserted into the aligning holes of the upright frame and cross beam. This two-piece system enables Speedrack Old Style pallet rack clips to have strength that is unparalleled in other pallet rack clips. These clips come as near to unbreakable as one can find on the market. The Speedrack J Bolt, which is also necessary for the use of Speedrack Old Style pallet rack clips, available from Shelf-Clips.com, sold separately. 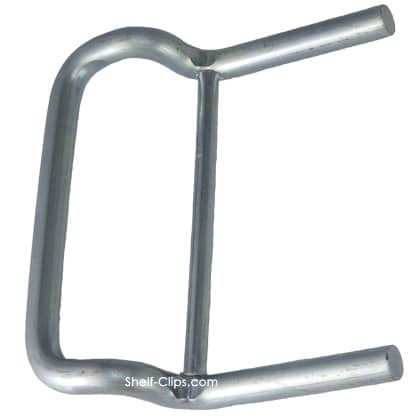 To order Speedrack Old Style pallet rack clips, J Bolts, or Speedrack teardrop pallet rack clips, all you need to do is complete a quick, easy, online order at Shelf-Clips.com. Or, to place an order with one of our sales team members, give us a call at 855-289-2547.